Comments from European Central Bank President Mario Draghi that he is monitoring deflation risks in the Eurozone sent the common currency down against the US dollar. The pair saw a 35 point drop to $1.3868, but not before reaching $1.3966 earlier in the day. With the short-term trend remaining bullish, a possible test of $1.40 cannot be overlooked. The industrial production in the Eurozone unexpectedly dropped 0.2% in January from the previous month as the energy output slumped, testimony of the very weak recovery. However, spread betting investors seemed to be in an optimistic mood, pushing the shared currency 45 points up against the dollar to $1.3904, with the rally continuing in the overnight session. A slump in stocks and commodities across the board has undoubtedly increased demand for safe haven currencies, thus supporting the US dollar. We also saw European Central Bank Vice President Vitor Constancio suggest that failure by the EU to create a Single Resolution Mechanism would maintain the fragmentation within the banking sector. Nevertheless, the EUR/USD pair hardly changed, ending just 17 points lower at $1.3859. Despite a weaker than expected result for Sentix Investor Confidence, the euro closed pretty flat against the dollar at $1.3875. It seems that the ECB's pledge to keep interest rates low has done the job, with participants remaining cautiously optimistic about the common area. Whilst the Eurozone might not have the US's growth prospects, many are suggesting that it has have turned a corner. Expectations in the Eurozone for a gradual climb in inflation kept the shared currency well supported for most of last week. On Friday, fairly good news regarding the US employment sector brought back the risk takers, giving the euro another push higher. 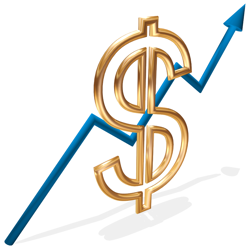 The euro/dollar pair gained 12 points to $1.3872 and even crossed above the $1.39 mark in intraday trading.